Statewide housing markets are brutal—just look at the rent control law that Oregon passed as evidence—and some aspiring homeowners are getting creative. Rather than spending most of a paycheck on rent, Oregonians are increasingly looking toward alternative living options. The tiny-home movement has been the most visible example of this shift to untraditional digs, but it doesn't stand alone. Each option is unique and caters to specific lifestyles. 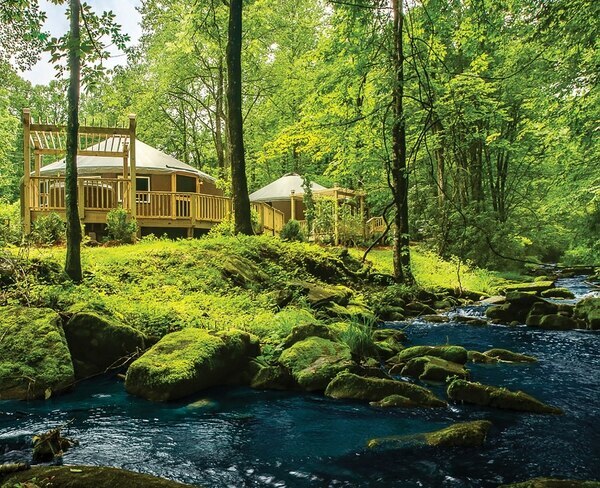 To help you decide which could be right for you, here's our guide to some of Oregon's newest and lesser-known alternative living options. What is it? : A roughly 100-square-foot home, typically on wheels. How much does it cost? : From $30,000 to $100,000. Should you live in it? : If you are committed to living a minimalist lifestyle, know people with extra space on their property who will allow you to park your home, and wish to create an interdependent community with your neighbors, tiny homes are probably for you. What's the backstory? 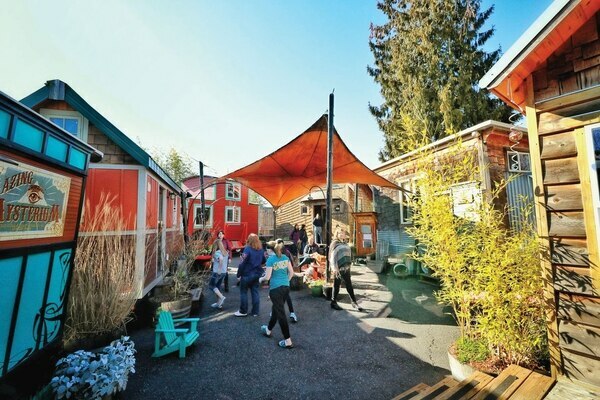 : Kol Peterson, co-owner and -founder of the Caravan Tiny House Hotel in Northeast Portland, is an expert on small living—he even wrote a book about it, Backdoor Revolution. He says when the hotel opened five and a half years ago, it was the first place where you could legally stay in a small home on wheels in the U.S. The goal of building and renting out the six structures was to let prospective tiny home dwellers "kick the tires on the experience." Peterson now guesses around 100 people in Portland currently live in tiny homes—most of them single in their 20s or 30s. That's largely because couples and families simply can't fit. "You have to really be committed to downsizing," Peterson says, "and becoming a pure minimalist in order to actually live in a tiny house on wheels." But apart from being exponentially smaller than standard homes, tiny homes cost much less to purchase and live in. They also leave a smaller environmental footprint. People opt to downsize, Peterson says, because they want to hack the system. "Part of the lifestyle for people who live in tiny houses on wheels is that they want to engage more with their communities, typically," Peterson says. "It's kind of an anti-consumerist, DIY approach to hacking the housing system and creating affordable housing solutions." What are the downsides? : In most of the nation, including Oregon, living in a tiny home on wheels is an act of civil disobedience. In Portland, the city is in the process of creating new zoning for tiny homes. Until that happens, the structures still aren't technically legal, unless they're in RV parks or campgrounds. "On the one hand, [tiny homes are] very little money up front," Peterson says. "On the other hand, you have to deal with where you place it in. That typically requires rent for the rest of your life." "What appreciates is the land," he continues. "Structures don't, really. So owning a piece of dirt is where you've got an investment." What is it? 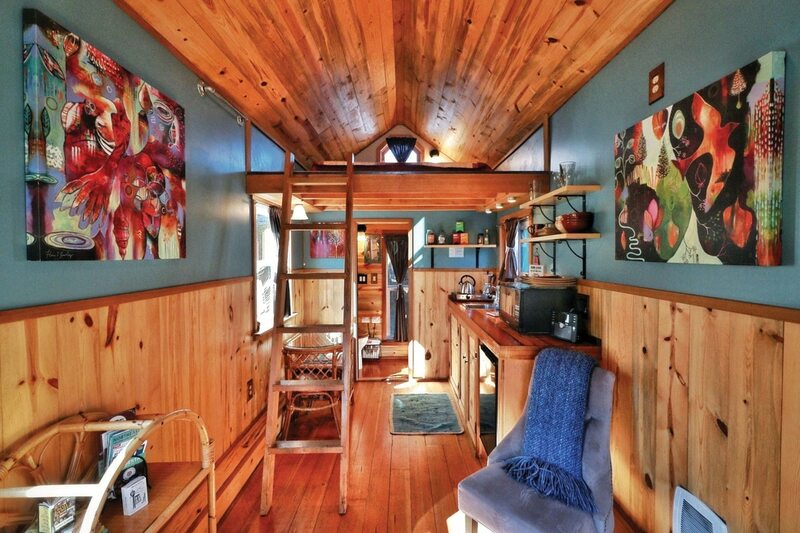 : A school bus that has been converted into a tiny home on wheels. How much does it cost? : $25,000 or more. Should you live in it? : If you want to downsize but don't want to be tied to a fixed place and don't find RVs alt enough, skoolies are probably a perfect option. Julie Akins, a Southern Oregon skoolie converter, says the buses average 240 square feet and are like "a terrestrial version of a sailboat." "It's an adventure craft," she says. "So many young people who are upwardly mobile and educated don't want to spend the next 30 years chained to a desk, hoping to make rent or buy a house. They want a freer lifestyle. You can buy your home and own it and be done with it." What's the backstory? 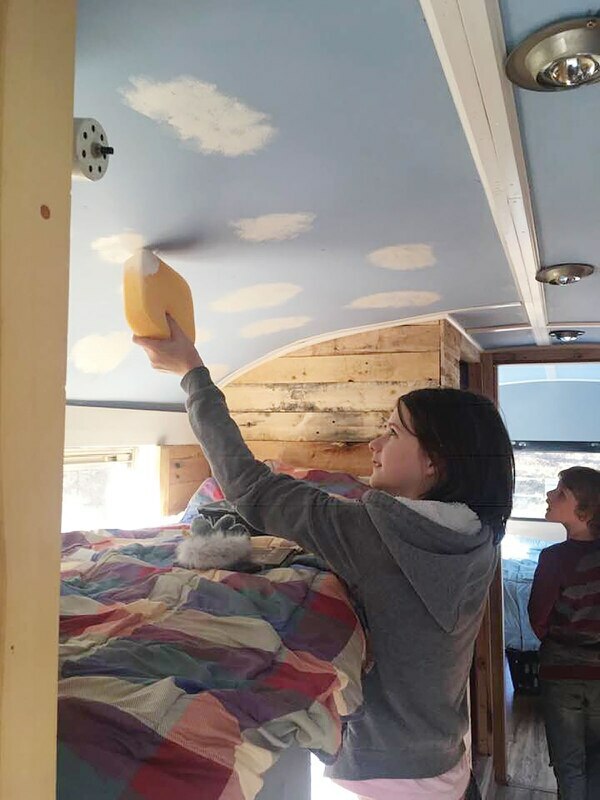 : Akins says the story behind her first school bus conversion is "kind of a mystical tale." While traveling the West Coast for a story on homelessness, the freelance journalist, who works as a public affairs manager at a conservation nonprofit in Ashland, Ore., met a woman, Lilith, who was living in a restored school bus with her seven children. "She was describing to me the dream of a finished school bus and how beautiful it would be," Akins says. "She wasn't able to finish her bus. Subsequently, her children were put into [Department of Human Services] custody and I lost track of her. But I never forgot about her." After returning from her trip, Akins started researching how to convert school buses into homes. She started work on her first conversion in December 2017. Last Thanksgiving, she presented the first finished "skoolie" to a family of five. Akins has two other skoolies in the works, which will go to unhoused residents with children under 18 who are approved through an application process. What are the downsides? : These are still school buses, and Akins says it takes quite a bit of time, energy and construction knowledge to convert them into actual livable spaces. "It really, really, really is important that you insulate them well," she says. "A lot of folks skip this process, and that is not a good idea." What is it? : A hotel room that you own, à la The Suite Life of Zack & Cody. How much does it cost? : One in Bend is listed for $224,000. Should you live in it? : Do you want to be greeted by a concierge every time you enter your home? Would you like having new neighbors daily? Have you always wanted to host a never-ending hotel party? If your answers are yes, then this is the alt-home for you. What's the backstory? : After getting a divorce, Nate LiaBraaten of Bend was struggling to find a new place to live. "Bend is not the cheapest place to find housing," LiaBraaten says. "And in terms of one-bedroom options, there just weren't many at all." LiaBraaten says while browsing real estate websites like Zillow and Realtor.com, a one-bedroom hotel room popped up. "I had no idea you could even buy a hotel unit," LiaBraaten says. 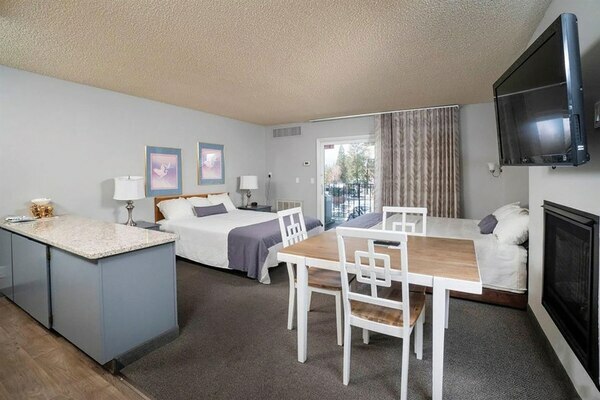 The room that LiaBraaten eventually purchased, in the Riverside Inn and Suites, is one of few motel condos offered in Oregon. Chantel Taylor, the inn's general manager, says people who purchase rooms enter a rental pool, so that if they opt not to live in it full time, they get a kickback from whatever the hotel made renting it at the end of each quarter. Taylor estimates around 25 people currently live in Riverside Inn rooms full time. Those residents pay a homeowners' association fee that covers amenities like cable TV, water, WiFi, heating and electricity. They can use shared spaces—like the pool and hot tub—but, Taylor says, "they're not privy to housekeeping or regular hotel amenities." So you still have to clean up after yourself, but you can blast free cable through paper-thin walls just like every other guest. And the best part? LiaBraaten says the location is unrivaled. "For anybody that would just immediately write off this decision, especially if you're working within a budget, I would just recommend taking a look," LiaBraaten says. "Walk the grounds. Don't write it off immediately." What are the downsides? : LiaBraaten says finding mortgage lenders who will agree to finance a hotel room is tricky. "So unless you have a lot of cash, it may not be an option," he says. Also, the constant change-over of guests can get old. "It was kind of a revolving door of neighbors," LiaBraaten says. What is it? : A sailboat with small living quarters. How much does it cost? : Varies by boat and marina. Should you live in it? : If you want to be able to set sail at any moment, house in tow, and live off docks in sunnier places around the world, then boat dwelling is for you. What's the backstory? : Cheryl GreatHouse, a local massage therapist, has always lived small. Doing so has allowed the self-dubbed "thousandaire" to travel on a shoestring budget around the world. 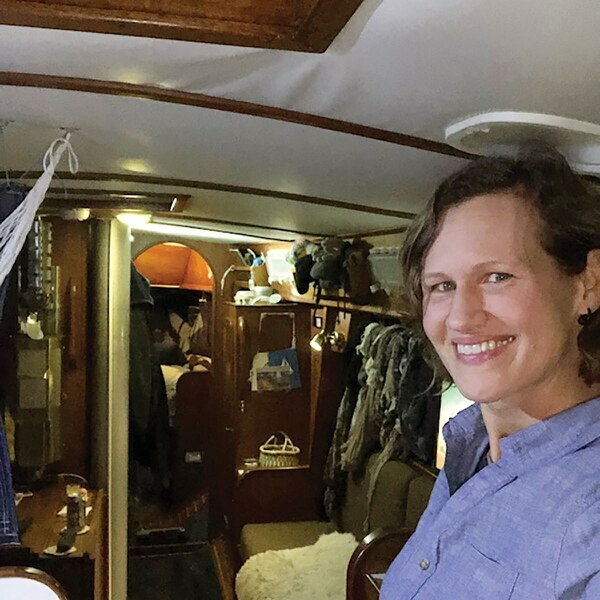 In 15 months, she'll sail her live-aboard boat out of North Portland for good, taking a jaunt to Mexico and, she hopes, New Zealand. She bought the 40-year-old boat for $36,000 and now pays $550 a month in moorage fees and $1,000 a year in insurance. The living quarters are tucked under the deck. After descending a few stairs, visitors find a small kitchen at one end, a fold-up table and cushioned seating—which converts to a guest bed—along the middle, and a bathroom and small bed at the end of the boat. What doesn't fit in the hull's many cupboards, like clothes, GreatHouse stuffs into zippered bags and stores in a mesh liner along the sides of her bed. Showers and laundry are in a communal marina building at the end of the dock, in addition to the bathroom on board. "It's kind of like playing Tetris because you have very little storage space," GreatHouse says. The mental math is worth it, she adds, because of the freedom it affords her. 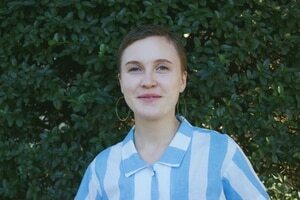 "It's obvious the way our society is set up is non-sustainable," she says. "There's two things I think are positives. One is that people are having to become community again. They're having to live together. And two is that we're learning our value isn't with what we own. It's not with our stuff, it's us." What are the downsides? : First, GreatHouse says, "It's a boat, so you can't really have a fear of water." And you have to repair the bottom every couple of years to keep it from getting holes and sinking. "In a lot of ways, it's like a house because you have to maintain it," GreatHouse says. "You have to keep it up, you have to pay attention. It's not effortless. And obviously, there's not a grocery store two blocks away, you know? You have to plan ahead a little bit." What is it? : A semi-permanent tent that's similar to a tiny home but rounder. How much does it cost? : From $5,500 to more than $11,500, depending on the size and add-ons. Should you live in it? : So you read Marie Kondo's The Life-Changing Magic of Tidying Up and now you're ready to ditch any belonging that doesn't spark joy. The domes are far cheaper than any home you'll find—though they don't appreciate in value—and you don't have to have any construction knowledge, or much space, to erect them. Depending on size, they can take just a few hours to set up and last up to 15 years without repair. Buy one if you want to glamp year-round. What's the backstory? : If you've ever stayed at a yurt in a Oregon, chances are it was built by Pacific Yurts Inc. The Cottage Grove company, owned by Alan Blair, ostensibly founded the yurt industry in the late '70s. Blair says he first read about yurting in a National Geographic magazine in the mid-'70s. He and his wife built one on a small piece of land they purchased in rural Oregon. A local news outlet wrote about their setup, and people began to call with orders. Now Blair says the company sells "several hundred" yurts a year to customers all over the world. About 200 Pacific Yurt dwellings are located in Oregon State Parks. "I would say that probably the thing that appeals to people more than anything else is just the unique, cozy feeling of being in the round," Blair says, "and the sense of being a little closer to nature than you would in a house. And, of course, typically you wouldn't need a mortgage and all those other expenses that are entailed with a permanent dwelling." The yurts range from 12 to 30 feet in diameter, and people often build bathrooms, lofted beds, kitchens and laundry rooms into the structures. What are the downsides? : If you don't live alone, moving into a yurt is a goodbye to private spaces. In the round rooms, every single thing is on display. Also, according to city zoning codes, living full time in a yurt might not "technically" be allowed. Because the city classifies yurts as "transitional housing accommodations," it "may limit the maximum amount of time that an individual or a family may use the accommodations."